Ex-Chelsea youngster aims a dig at Chelsea as he prepares for return to Stamford Bridge tonight. 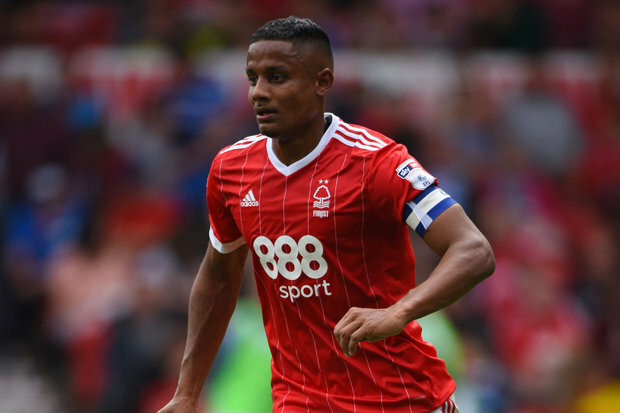 Michael Mancienne is to return to Stamford Bridge tonight with Nottingham Forest as they take on Chelsea in the Carabao Cup and has aimed a dig at the club he left six years ago. “I was in the comfort zone at Chelsea and it is easy for players to rot away in that environment. When you’re at a big club you can easily get caught in a bubble because everything is done for you. There are so many people doing things for you that when you go out on loan you’re thrown into real life. I was 21 when I made my debut and it was great moment. I thought it would be the time when I kicked on but there were too many players in front of me, many of them captains for their countries. The likes of John Terry, Frank Lampard, Ashley Cole and Joe Cole were the best role models to have, and seeing people like John break into the first team obviously gave you that hope and desire to do the same thing. But I don’t think there is one player from the academy in or around my age group that is still there. Ryan Bertrand, Jack Cork and Sam Hutchinson have all left, and Liam Bridcutt is with me now at Forest. I had to make a decision because I wanted to make a name for myself and play games." - Source: The Telegraph. I have to be honest, I am becoming sick and tired of all this opinion of Chelsea's Academy failing to deliver the next John Terry. It was a genuine target and vision the club had back when Roman Abramovich took over and still is to the current day but events that have taken place outside of our club has stalled the progress of these players coming through and that's the money in the game which leads to expectation every single season for a club of our size now. The demands in the Premier League for success have become massive with ridiculous amounts of money being pumped into the game. This leads to demands being put on managers up and down the country to achieve their clubs targets and if they do not they will be sacked. Frank De Boer lasted four games FFS! We would love to see players coming through here, given a chance to save us a fortune paying extortionate transfer fees but if we are totally honest, for Chelsea, there are very few and far between that ARE good enough and of Chelsea standard. It's the harsh reality and a fact. Mancienne for example talks of the players ahead of him in the first team at the time. How on earth would he honestly expect to force his way through into the first team ahead of them for the big, big games? Premier League games against the lesser sides back then maybe but now, with all the money in the game there is, every single side spend big money and the strength of the Premier League gets bigger every year. I agree that there has been some real talent that has come through our Academy but let's be realistic, how many of those players have made a real impact in the Premier League? The one we hope does is Andreas Christensen who will line up against Mancienne tonight. There is far too much money and levels of expectation in our game now that it will take someone extraordinary to break through. That's just the way it is.